Olympus E-M1X full specs leaked! 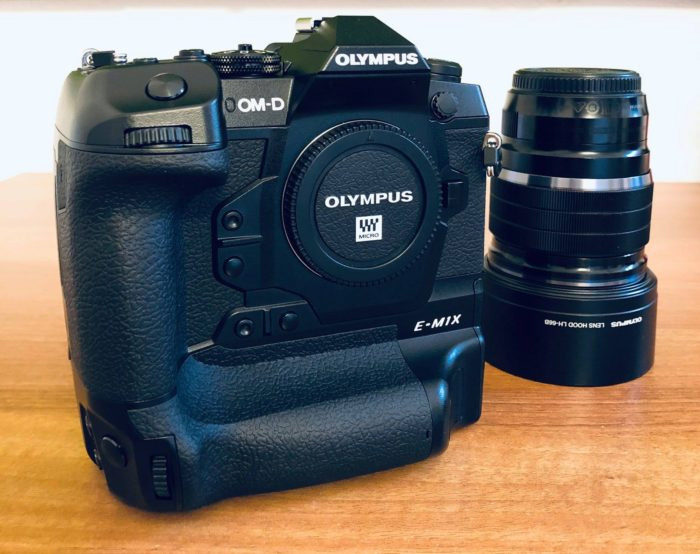 Since late last year, Olympus has been teasing out the release of the OM-D E-M1X, a professional mirrorless M43 camera designed for sports shooters. It will be announced on January 24. How do we know? They’ve pre-announced the announcement of course! Update: 23/1/2018: The full specs have been leaked, which can be seen at the bottom of this article. A sporty-looking screenshot from the video. While having a dedicated following in the enthusiast market, Olympus has until now had the least focus on professional photographers of all the Japanese camera companies. The advanced specs, such as seven and a half stops of image stabilisation, and chunky built-in battery grip on the E-M1X – not to mention the US$3000 body-only price – indicates it’s now seriously looking at the pro market. So what do we know about the camera? Here’s the facts taken from the 19-second teaser video. The camera launch will be accompanied by new telephoto zoom lenses. 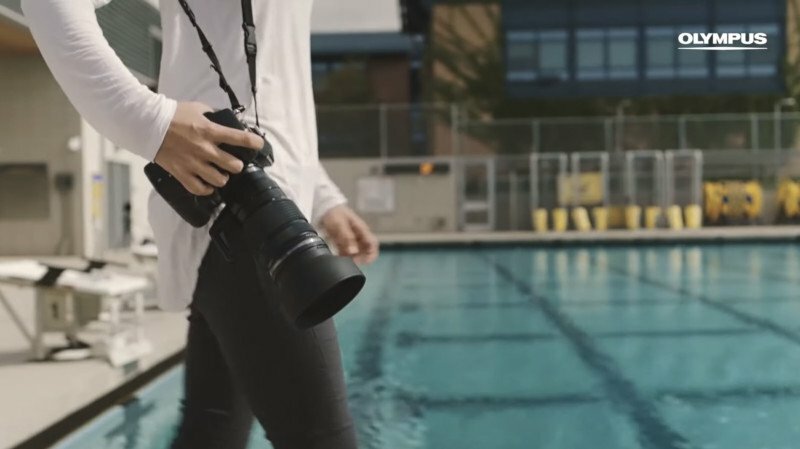 There are guys splashing around in a pool and volleyball players kicking up sand, which many are taking as indicating that the camera will also be rugged and weatherproof. – Price: Close to US$3,000 . It’s also possible that Olympus will announce three lenses, two tele zooms and a wide-angle, along with a speedlight. Oh, and some Zuiko binoculars. – A new Wi-Fi capture allows tethered shooting without a cable and makes it possible to transfer images wirelessly to a computer with the “Olympus Capture” camera control software. I havd to say that I loved the video…..and I am a professional sports shooter who shoots Olympus. There is a difference between mirrorless and csc. Sony, Canon, Panasonic ff and Nikon are Mirrorless, Olympus is csc and that is down to combined lens and body weights, not just bodies. Lets take an Olympus body and their 40-150 f2.8 Pro – so 80-300 f2.8 ffe. If the video is right at 900 g for the new body, the combined body and lens weight is 1,780 g and price around $4,100. Compare this to a 1dx ii with the 70-200 2.8 and a 300 2.8. Here we are at 5,210 g and a whopping $13,697. Putting it bluntly, the Olympus system is 1/3 of the weight and 1/3 of the cost. Maybe the “big” comments need to be rethought to include lenses and prices!! Hard to argue against those facts on weight and price, Mike, but it does look big for an M43. Thanks for the input. The pudding’s proof will be in low-light action. Image stabilisation won’t help much with fast-moving subjects in low light, nor will very fast lenses when a modicum of depth of field is needed. Low light action (sports and wildlife) needs high I.Q. at high ISO. That’s the challenge for Oly.